Ugh it’s hot out and it’s only going to get hotter. I think it’s supposed to get above 100 degrees this week so turning on my oven is probably the last thing I’m going to want to do. These temps are definitely the time to fire up the grill. One of my favorite parts of summer is grilling. 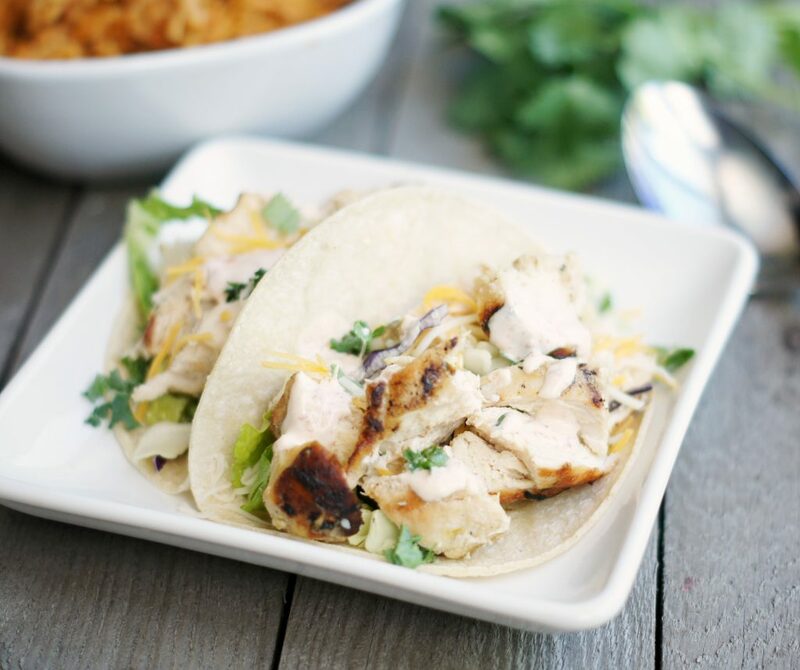 These Grilled Chipotle Chicken Tacos are so yummy and super duper easy to make. They were a ginormous (love that word) hit at our house the other night and the sauce was everyone’s favorite part. 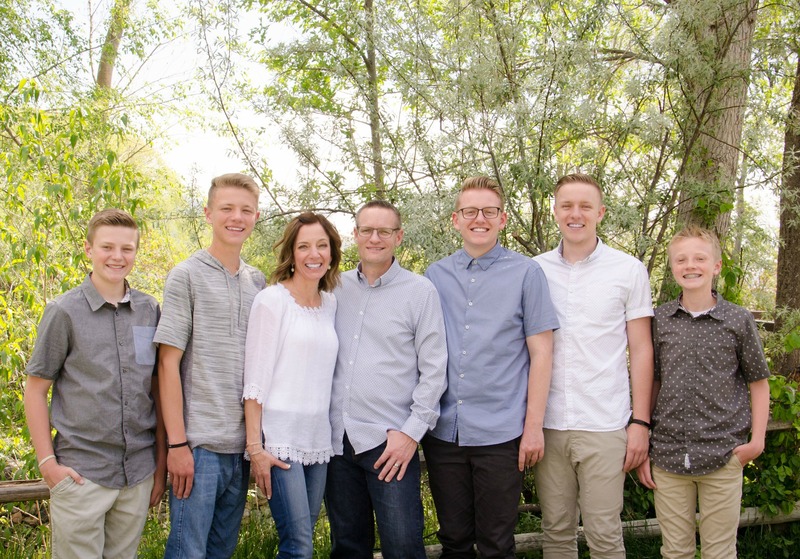 My younger boys are boring and kind of lame, and only put the cheese and sauce on theirs, but I guess the fact that they dared put the sauce on was a huge step for them. However, my husband and I loaded ours up with avocados, fresh cilantro and chopped cabbage and they were out of this world. 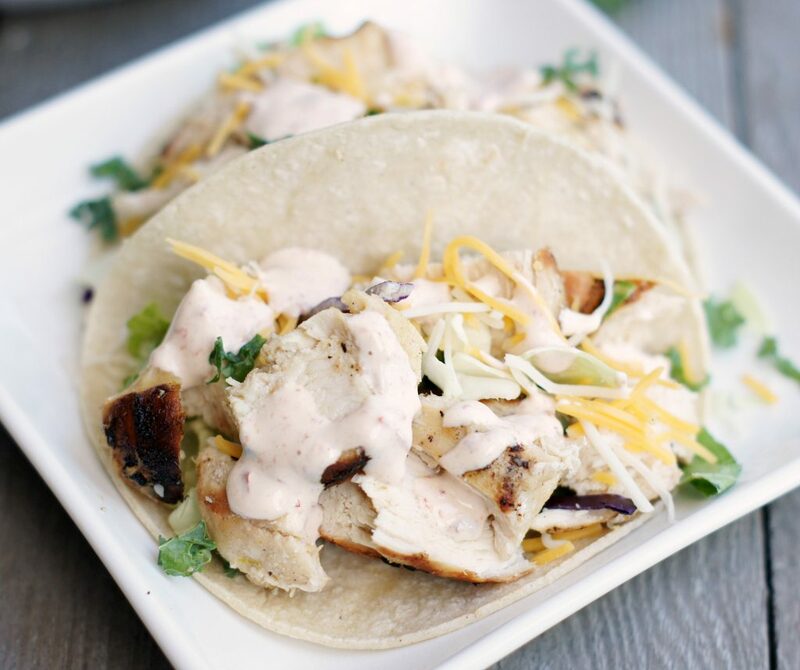 The chicken is so flavorful and juicy and the sauce is absolutely delicious and gives these tacos a nice smoky kick. The longer you can marinate the chicken the better. I always marinate mine overnight, but if you forget to make it the night before, just make sure you let it marinate at least 4 hours. A great side dish to serve with these tacos is the Cheesy Black Beans & Rice. . .YUM! 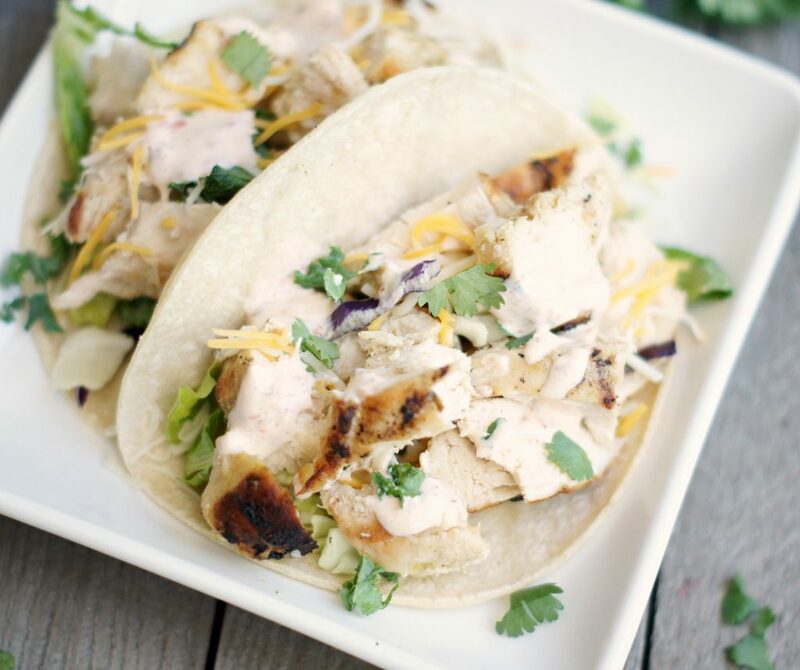 Delicious and simple these tacos are the perfect summertime dinner and the best part is there's no oven required. In a Ziplock bag, combine the olive oil, cumin, chili powder, lime juice and zest. Add the chicken breasts and seal bag and place in fridge and marinate for at least 4 hours or up to 24 hours. Grill marinated chicken and cook for 5-7 minutes per side. Remove from grill and place on plate and cover with foil for about 5 minutes. Cut chicken into bite-size pieces. Warm corn tortillas in a pan or in the microwave. Fill shells with chicken, shredded cabbage and cheese. Drizzle with chipotle sauce. Yum! This recipe looks so simple and delicious. I will definitely be checking it out. Thanks a lot for sharing!